IndoBowl once reached viral status back in late 2017. Now, they are back with their 3rd outlet in IOI City Mall Putrajaya. 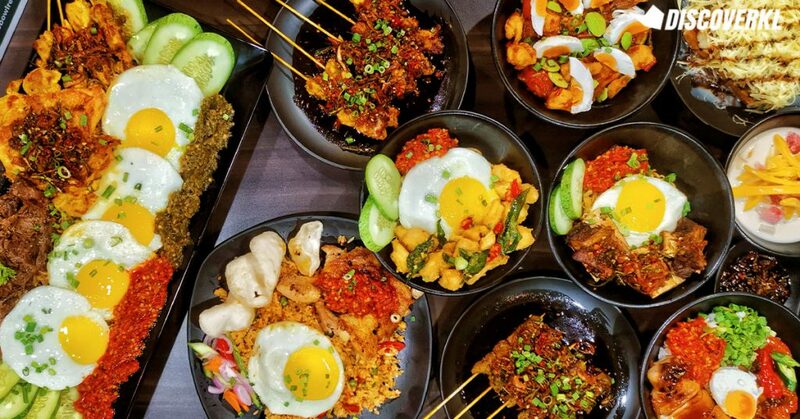 Specialising in Indonesian street food, they serve up Sumatran-inspired dishes, some of which are cooked with family recipes dating 60 years back. And we learnt that one of the reasons why there’s an IndoBowl in the first place is because the founder’s wife loved Indonesian cuisine. 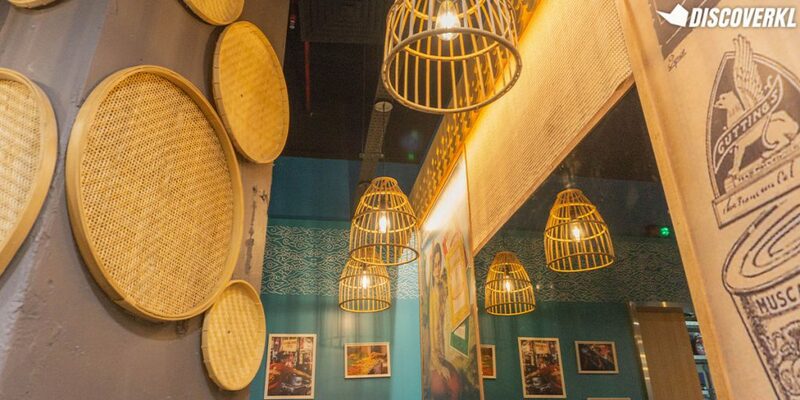 Being Indonesian herself, she wanted a taste of home in her new-found Malaysian home and that’s how IndoBowl came about. 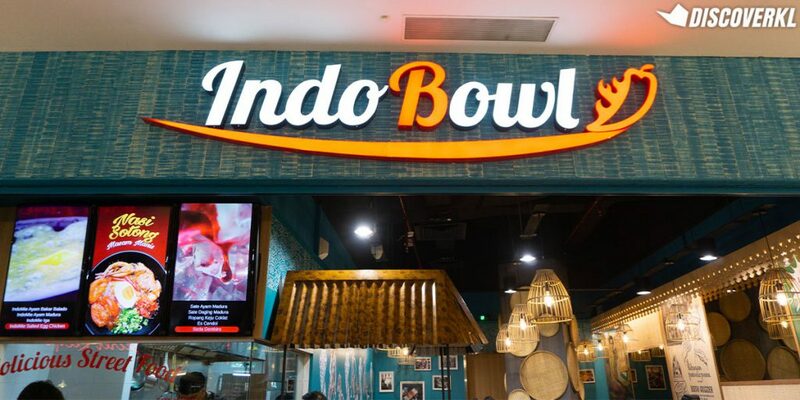 IndoBowl is located on LG Lot-36 at IOI City Mall Putrajaya (right next to Spag & Jus). 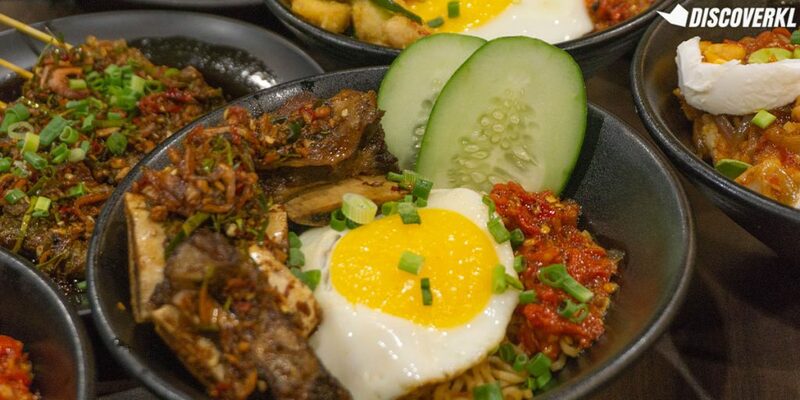 The dishes we tried at the IOI Putrajaya mall are signatures from IndoBowl’s existing menu. In a nutshell, we found them flavourful with a kick of spice. While their sambal balado sauce made for a wonderful accompaniment to the heavy dishes, it eventually became a little too spicy for some of us. 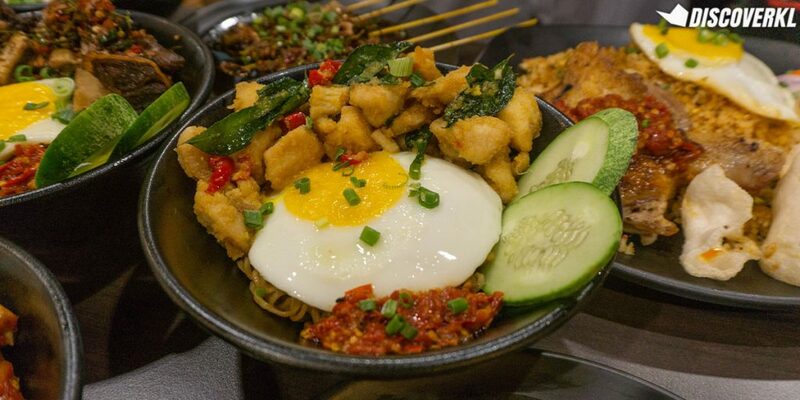 A complex-flavoured dish of IndoMie and fried chicken or sweet and sour squid with rice is reduced to a single taste profile of spicy. Then again, that’s our personal opinion as weak chilli eaters. Nevertheless, here are our thoughts on the dishes we had, minus the spice factor. 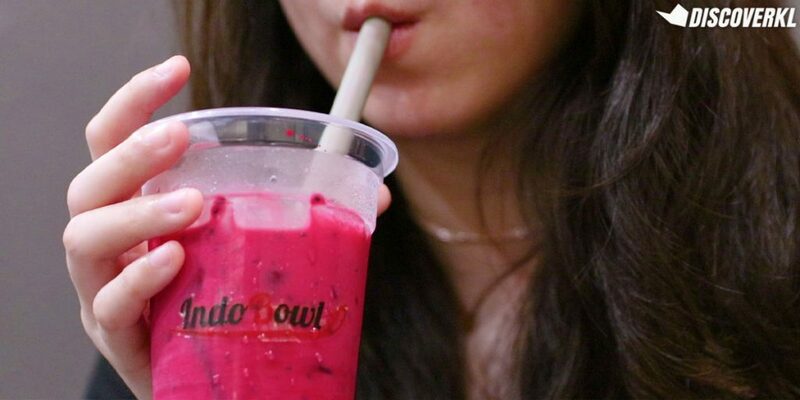 This is one of IndoBowl’s bestsellers and we can see why. 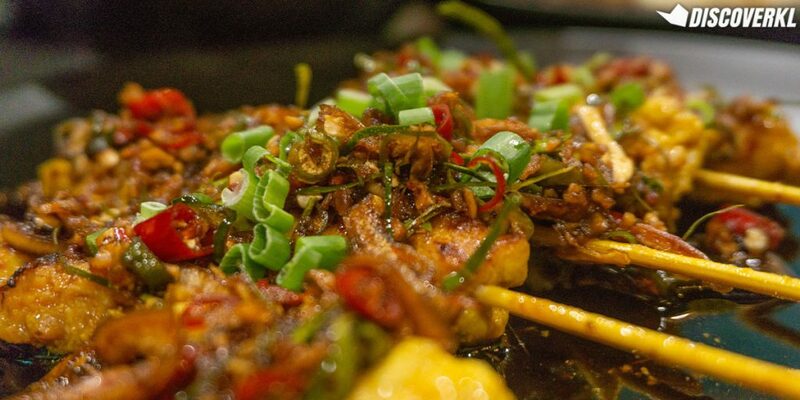 They are fragrant chicken skewers marinated in turmeric; grilled chicken meat cut into bite-sized pieces and seared to seal in the juices. The meat was tender with some chopped spring onions, chilli, and onions on top. 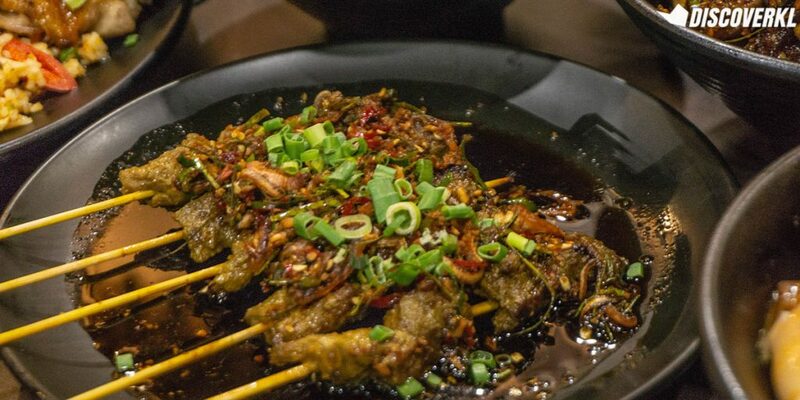 Served with sweet soy sauce, it’s different from your regular satay served with peanut sauce. 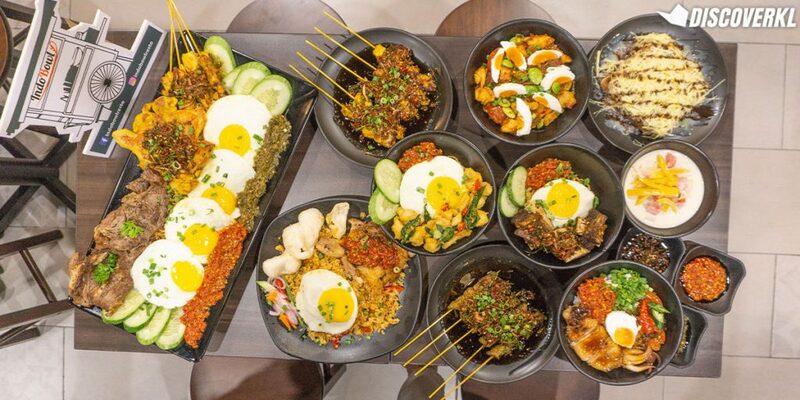 P.S: They have these skewers with IndoMie for RM10.90 too. At this price, you can’t expect the meat to be falling off the bone. However, we can say that it was marinated well and was not too tough to pull apart. The noodles were fried with chilli padi and IndoMie seasoning so it was pleasantly nice, albeit a little spicy. Honestly, I was skeptical about this dish. But that’s only because I’ve tried the IndoMie Salted Egg Yolk instant noodles and felt personally harassed by the synthetic salted egg yolk flavourings and colourings. It stayed in my breath after 24 hours and is frankly not a pleasant experience. However, IndoBowl’s diced chicken cubes tossed in salted egg yolk and later fried was decent. Served with rice, a sunny side up and chilli, the chicken was tender and lightly flavoured. A little gravy might make it better but this is great for those who do not fancy heavy salted egg flavours in their meal. 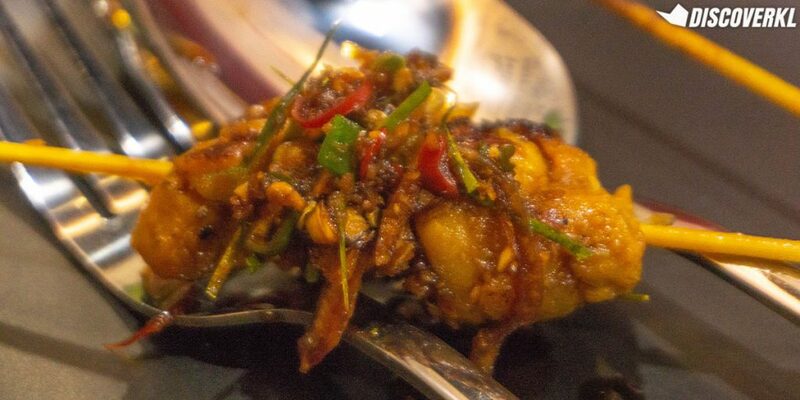 Chewy with an interesting flavour, this dish was a contrast from the salted egg chicken. 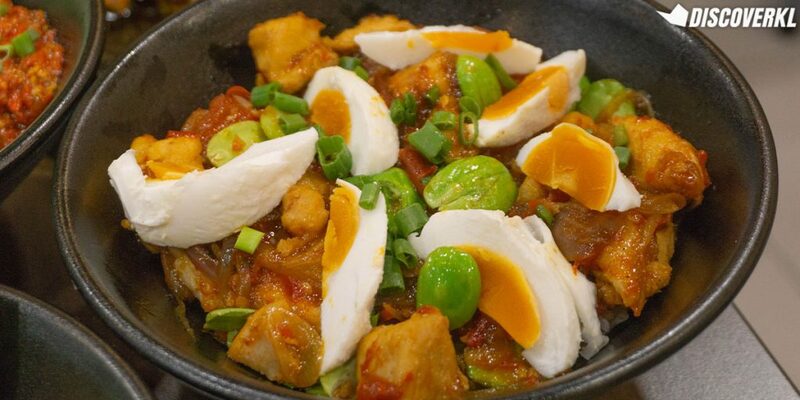 It’s served with a sweet and savoury acar (pickled veggies), salted egg, sambal and spring onions. Leaning more towards a sweeter taste, it went nicely with the salted egg. 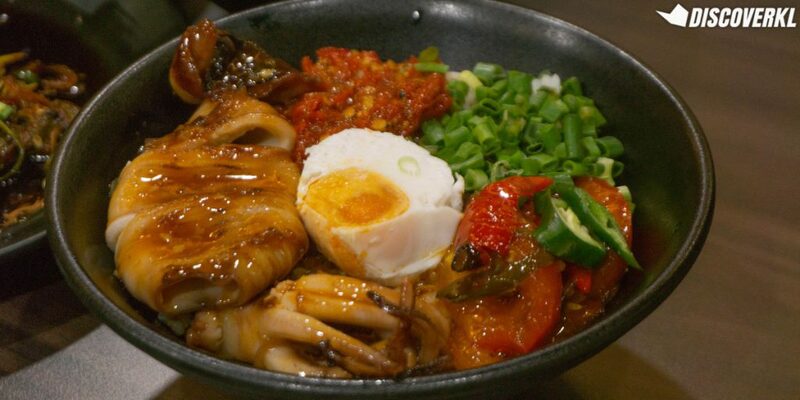 The generous serving of squid made me give this dish extra brownie points too. It tastes like what it sounds: sharp, spicy and pungent. 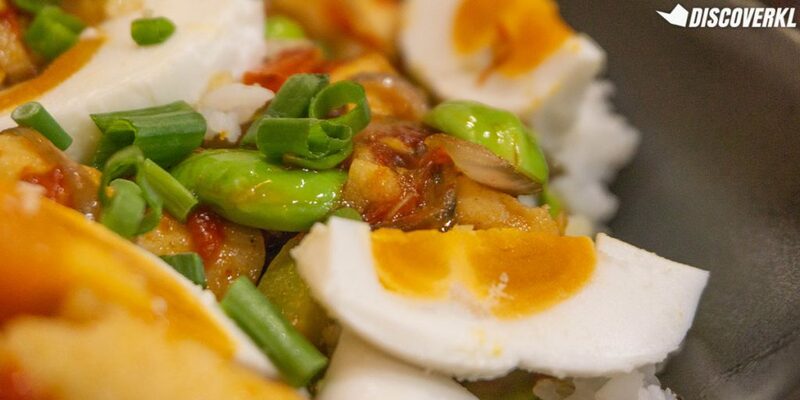 The salted egg oddly rounds these strong flavours off into a pleasant mouthful. Or maybe I really just don’t mind the taste of petai. Like when it was combined with blue cheese in a burger. We’d recommend mixing up the ingredients in the bowl like a bibimbap to evenly distribute the salt and chilli to rice and chicken. This is a spicy fried rice with your regular spices, long beans and a grilled chicken thigh. 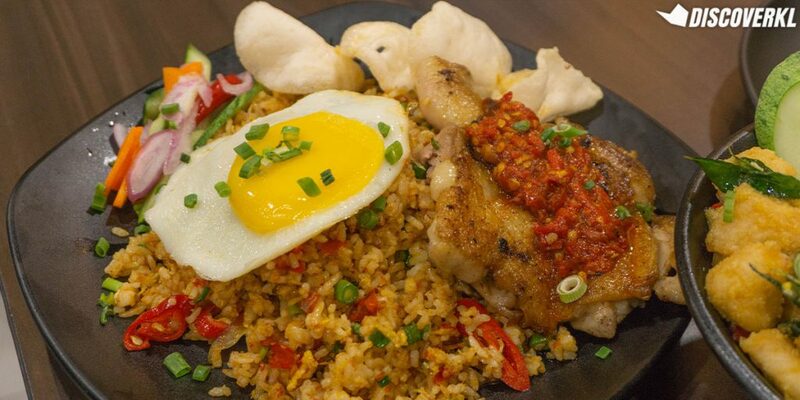 It’s a sizeable portion with a generous serving of sambal balado smeared on the chicken. Spiciness of the chilli aside, the chicken was smokey and juicy. 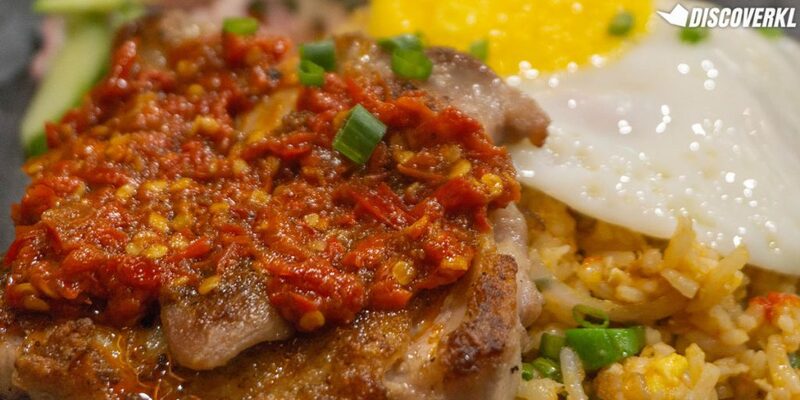 This dish is served with a sunny side up. In all of the dishes we had, the yolks were slightly runny which, interestingly enough, actually helped to ease the spiciness a little for us. After all the spiciness, we really needed to soothe the flames. In came the sirap bandung with an Indonesian twist. Mixed with soda water and basil seeds, the sweet milkiness of the drink tasted refreshing. Plus, if you enjoy having mixed textures in your drink, the biji selasih or basil seeds gives it a fun crunch. In Malaysia, we’ve got kaya and toast. 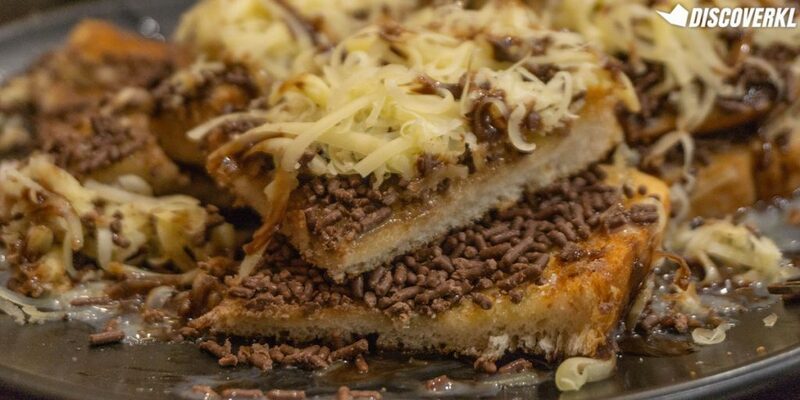 But in Indonesia, they’ve got grated cheese, chocolate sprinkles, condensed milk and toast! 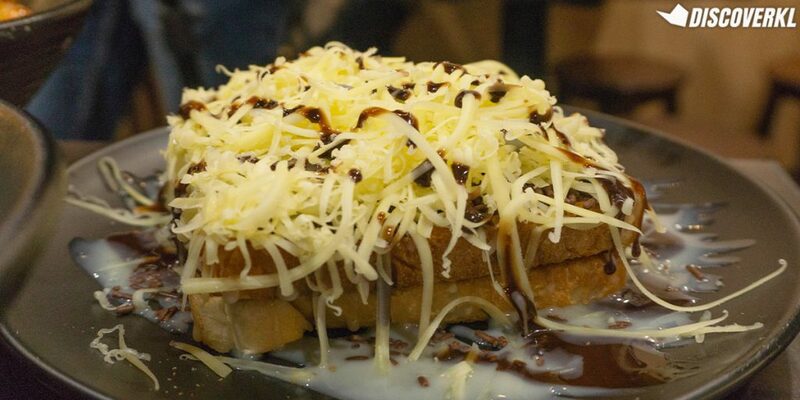 If you enjoy your banana fritters with those toppings, you might like this popular Indonesian street food. We managed to bungkus some back after the review and it did not turn soggy either, despite the heavy toppings. While I’ve never experienced Indonesian street food, the dishes served at IndoBowl gave me an interesting exposure to it. I’d definitely return for the chicken madura skewers and short ribs.